West Coast cigar retailers are getting a Caldwell cigar that you won’t find anywhere else in the United States. 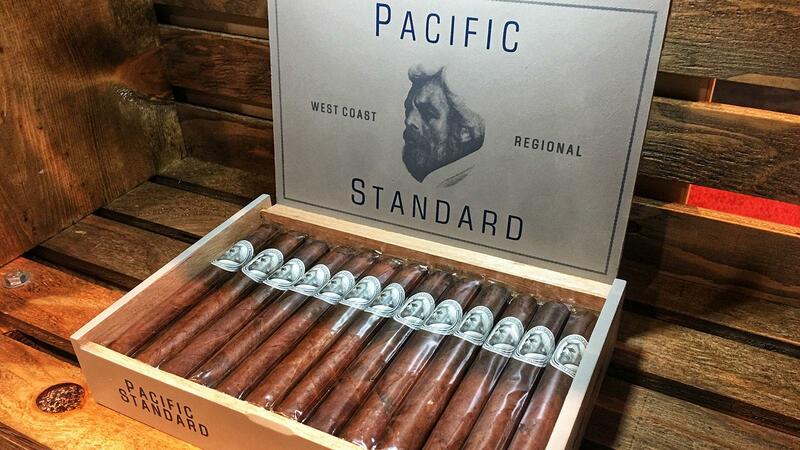 It’s called Pacific Standard, a twist on the company’s core line of Eastern Standard cigars, with a nod to the Pacific Coast, and it’s only shipping to cigar retailers in California, Oregon and Washington. The cigar is designed to be an affordable smoke for aficionados living in high cigar-tax states. California has some of the highest state taxes on cigars in the United States. The Golden State taxes cigars at a rate of 62.78 percent of the wholesale price (California is unusual because it bases its cigar tax on the rate of taxation for cigarettes). Oregon and Washington have even higher tax rates, but the impact is mitigated by caps. Oregon taxes cigars at 65 percent of wholesale, with a maximum tax of $0.50 per cigar, and Washington taxes cigars at a rate of 95 percent of the wholesale price, with a cap of $0.65 cents. “Pacific Standard will retail for 8 to 10 dollars at the cash register—that’s after tax retail price,” said Robert Caldwell, owner of Caldwell Cigar Co.
Pacific Standard is draped in an Ecuadoran Corojo wrapper and contains an Ecuadoran Sumatra binder with filler leaves from the Dominican Republic. The cigar will ship in three sizes: Short Corona, at 5 1/2 inches by 44 ring gauge; Double Robusto, at 5 1/2 by 54; and Gordo, at 6 by 60. Expect to see the cigars soon. “Pacific Standard will start shipping at the end of the month,” Caldwell said.